Glossopharyngeal neuralgia is said to be a condition in which a patient feel irritation. The irritation is due to the cranial nerve. The cranial nerve can cause extreme pain in the tongue, ear and at the back of the throat. The pain can be quite severe and it can occur randomly. The electrical shock type pain can cause serious issues as it is mostly initiated without any type of alarm. The shocks can be repeating in nature and it can get worse with the passage of time. The time duration of the shock can vary a lot. The pain can be mild at the beginning and can increase suddenly. Most of the time the shock can last few seconds, but in some cases, it can extend to few minutes as well. According to the research made, it is hard to say that what actually causes Glossopharyngeal Neuralgia, but most of the medical experts are convinced that the pain is due to the brainstem inside the skull. The patients with the neck cancer may have regular episodes of Glossopharyngeal Neuralgia. There are different treatments suggested to the patients depending upon the condition it might be possible that the patient is advised to have a surgery. The Glossopharyngeal neuralgia can have clear signs and symptoms. These symptoms are helpful in reaching the decision of having the type of the treatment. The pain shocks in Glossopharyngeal neuralgia is due to the ninth cranial nerve, this nerve can cause pain at the back of the nose and throat. Ear and throat can have the same sort of the pain. Sometimes tonsils can also get the same feeling. The voice box that is also called larynx can have severe type of the pain. Other than that the shocks can appear more than once during the day. The factors like, Laughing, Speaking, Chewing, Coughing and Swallowing can kick off the pain. There are multiple causes that can play an active role in developing Glossopharyngeal neuralgia. The Glossopharyngeal neuralgia is quite common after the age of 40 years. One of the common perceptions is that the Glossopharyngeal neuralgia is due to the blood vessels that compress the Glossopharyngeal nerve. Some experts say that the Glossopharyngeal neuralgia might be due to the growth at the base of the skull that can eventually press the Glossopharyngeal nerve. 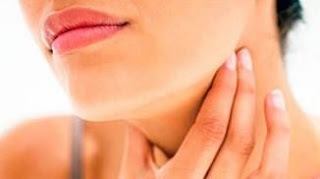 Infections in the throat and the mouth can be one for the reasons for Glossopharyngeal neuralgia. Sometimes there are tumors in the throat; these tumors can make Glossopharyngeal neuralgia progress. Glossopharyngeal neuralgia can be treated with multiple options available. For immediate relief from the pain the patients are advised to take pain killers, some of the painkillers are aspirin and the acetaminophen. There are some other drugs that can relief the pain to a maximum level. The medication like the carbamazepine, gabapentin, pregabalin, and phenytoin are found to be extremely helpful. Antidepressants can also be used, some of the worth using antidepressants are amitriptyline or nortriptyline. If medications are not enough then the surgical methods are suggested to the patients. The idea is to remove the pressure from the Glossopharyngeal nerve. This surgical method is called microvascular decompression.